I was on an urban exploration trip in Estonia in 2013, when I first heard Imagine Dragons’ Radioactive on the radio. I thought it was a really nice song, but the style of the song seemed like I might not enjoy a full album of such material. My bandmate Ville had also told me about Imagine Dragons and they were getting quite a bit of hype at the time. I’m usually not easily influenced by hype, because trendy music doesn’t often meet my criteria of enjoyable music. Anyway, Imagine Dragons seemed interesting, and I decided to give Night Visions a spin. Right from the beginning it seemed like an extremely versatile album. I had feared that Radioactive would be the only good song on the album, but it was just one of the many gems. In fact, there’s not a single bad song on the album. Some of them took more time to like, but these days I enjoy them all. Having listened to Night Visions quite a bit, I suppose I should have been aware of the sequel. But I was totally surprised when I saw that a new Imagine Dragons album had just come out. I had missed the release by a month. When I found out that there were a whopping 18 new tracks out there, I got very excited. My first impressions of Smoke + Mirrors were really good. The band proved once again, that they paint with a broad palette of tones. There are songs that are based on rhythm and raw power and songs that rely heavily on beautiful melodies. They mix various styles with ease. At first listen, songs like Shots, Friction, It comes back to you, Dream and Thief caught my ear. The chorus of Gold is very rhythmical, and utilizes vocal pauses quite cleverly. I’m so sorry is a rhythmical and aggressive composition, which doesn’t sound like anything Imagine Dragons has done before. It actually sounds bluesy and dirty. Very effective too. I like it when they shout like that. And to further increase the contrast between dirt and shine, there’s a beautiful piano part in the middle. Epic! I bet my life also has one of those rhythmic shout-along choruses. Friction has a similar feel to I’m so sorry, but with more melody and some Asian flavors. It comes back to you is an instant favorite, with an irresistible groove and encouraging lyrics. Dream is a sad, but very, very beautiful and emotional song. Definitely one of my favorites. The deluxe edition of Smoke + Mirros has some really good songs. The Unknown and Second Chances to name a few. Possibly a bit less experimental than the songs on the standard edition, but really awesome stuff. Warriors, is a good, uplifting closing track for the deluxe edition. 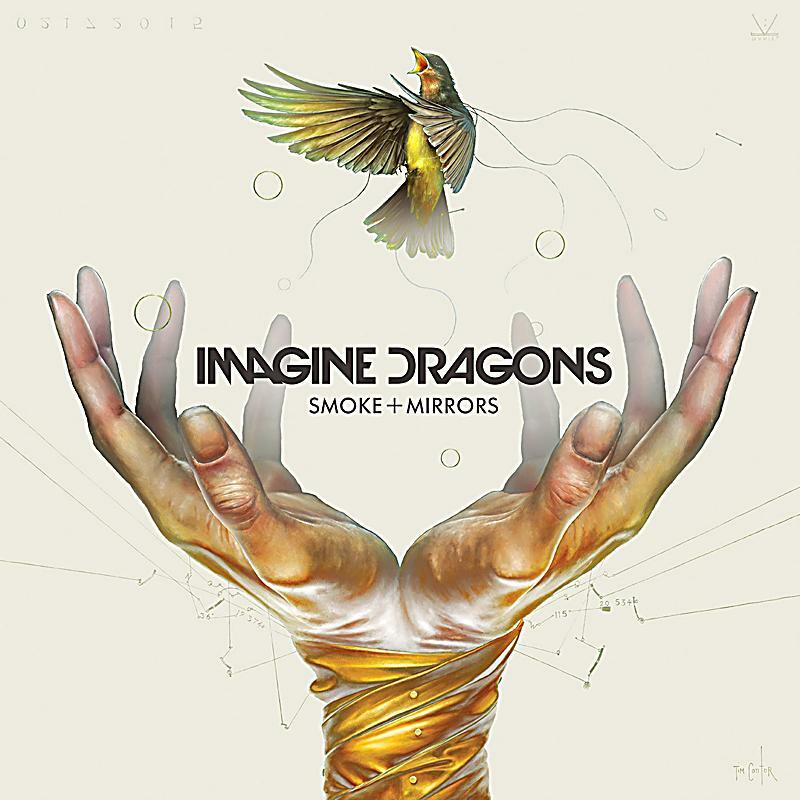 I’ve only heard the album a couple of times, but I can already tell that I’m going to listen to Smoke + Mirrors a lot.